I hope all those that managed to get to the workshop last Friday enjoyed it, I certainly like using the pastes through the Sweet Poppy stencils. Here's one of my projects that was at the class last week. I started with a 7 x 7 card and matted and layered it with black card stock then white, which I left plain so I could stamp an image to the right. 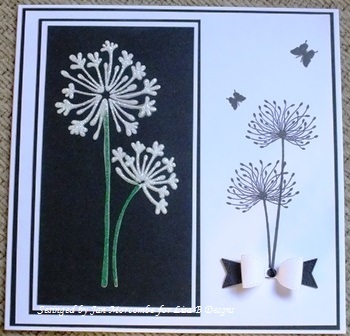 I thought a dandelion stamp would complement the stencil so whilst that was drying I stamped the Lavinia Dandelion stamp (currently out of stock on the website, however Dandelions 2 is available and would look just as good) using Memento ink and quickly dried it using a heat gun. 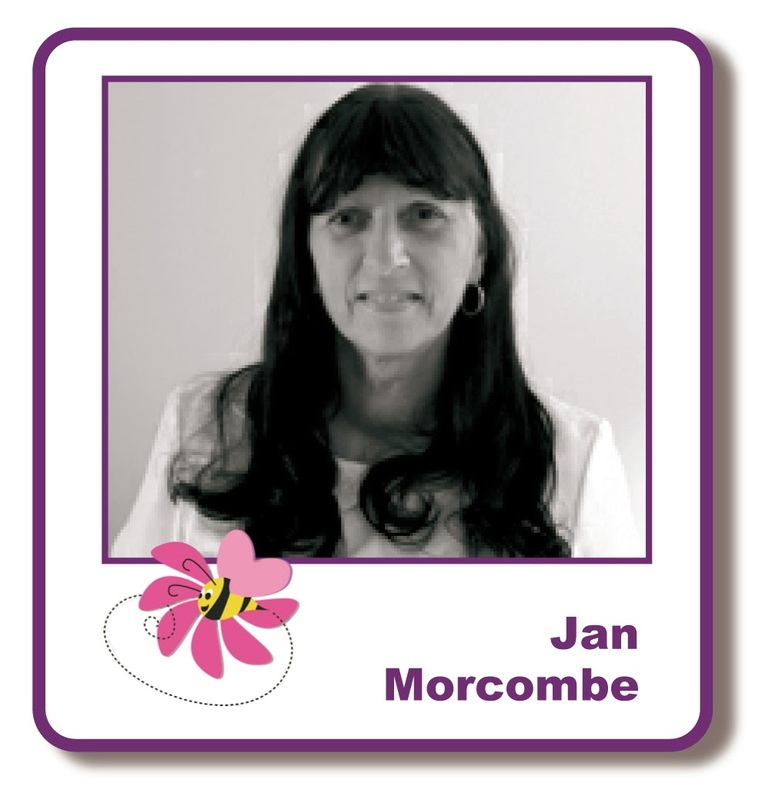 Then stamped the little butterflies from the Floral Collage Clematis Range a couple of times. At this point I didn't have the little Happy Birthday sentiment on the card just above the butterflies and forgot to photograph it before I took it to the workshop so I hope you saw it there. So once everything was dry I put all the mats together and added one of my favourite little bows by Sue Wilson and a few gems in the corners and on the bow. Again not in photo sorry. Here's a cheeky photo of a little card I made for my Spanish Brother-In-Law using the Imagination Craft Wall Stencil and Black Soot for the background. 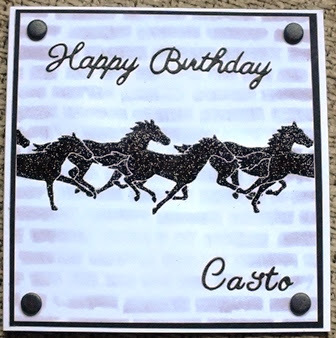 Then used the Black Sweet Poppy Dimensions Paste through a very old metal stencil of horses I have in my stash, and brightened it up with a bit of black glitter. On reflection I wished I centred his name at the bottom of the card. Thanks for dropping by the blog today. 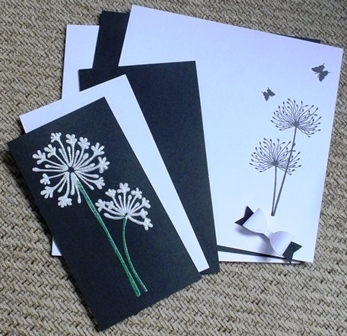 Lovely cards, the monochrome colour scheme works so well!